I love cute crafts you can make from recycled material. It cuts down on cost and waste. 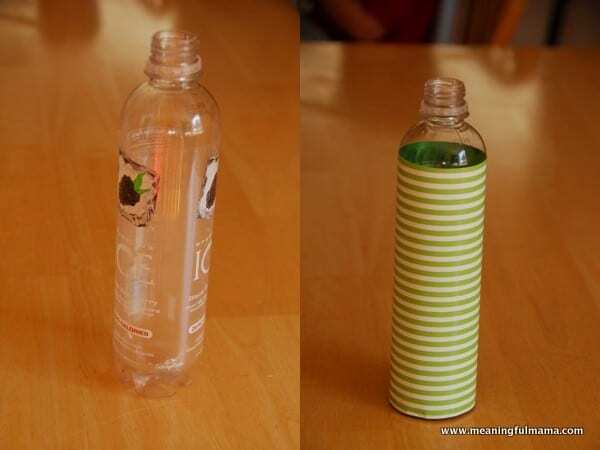 Here’s a fun thing you can do with a water bottle,wrapping paper, an egg carton, paint, glue pipe cleaners and pom poms. We had all this stuff on hand. If you need a list of things to have on hand for a variety of crafts, here’s a post I did on craft supplies. 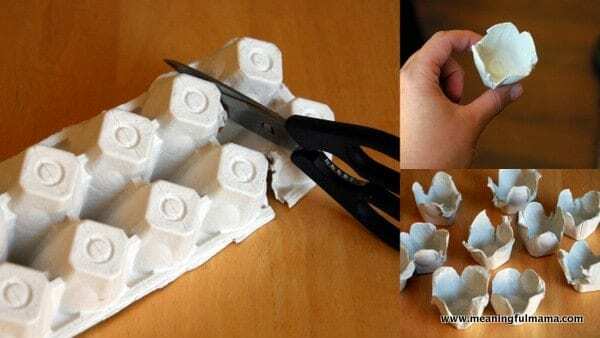 First, take an empty egg carton and cut it into individual cups, shaping each one with four flower pedals. Set your kids to painting all of these flowers. 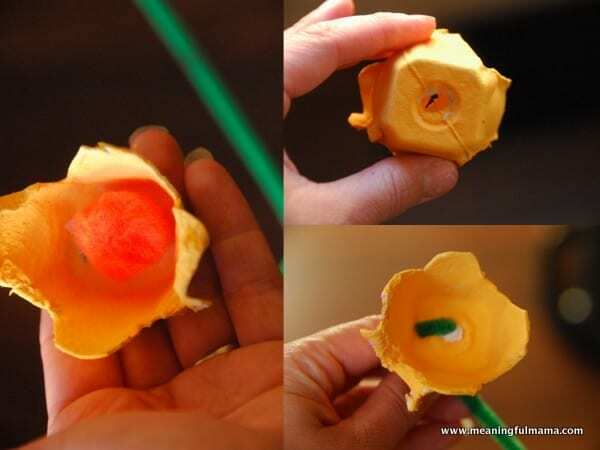 Use the tip of a pen or a stick pen to poke a hole in the bottom of the flower. Feed the pipe cleaner through the hole and bend it to keep in place. Glue a pom pom in the center of the flower. 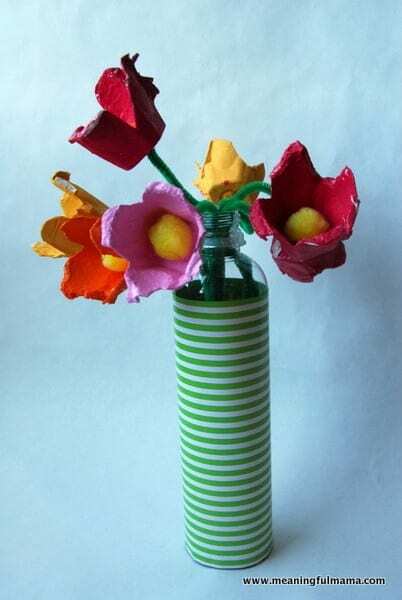 To make your “vase,” simply take a cleaned out plastic bottle and wrap in wrapping paper or craft paper.